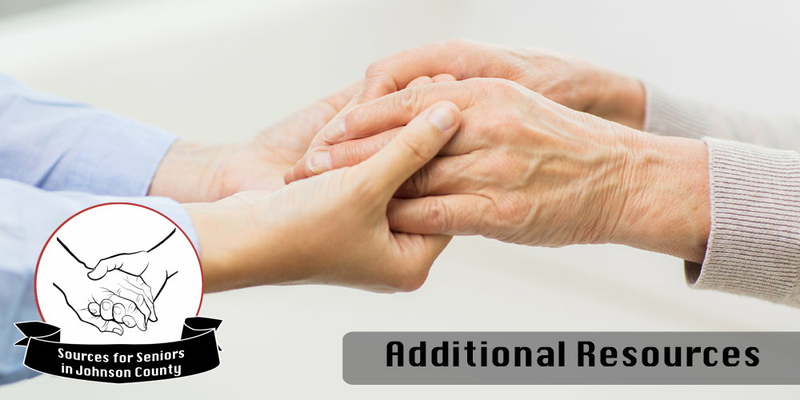 Our mission is to promote independence and an enhanced quality of life for a diverse population of older adults residing in Johnson County, and to ensure that they and their caregivers have a trusted unbiased place to turn for information and resources. We hope this site can be used as a tool for yourself, your parents, grandparents and neighbors by providing resources to enhance the quality of life for seniors in Johnson County. Click the topics below for easy access. Seniors are a big target when it comes to scams and fraud. Many believe this audience is targeted due to having a "nest egg", owning their home and oftentimes because they are more trusting. 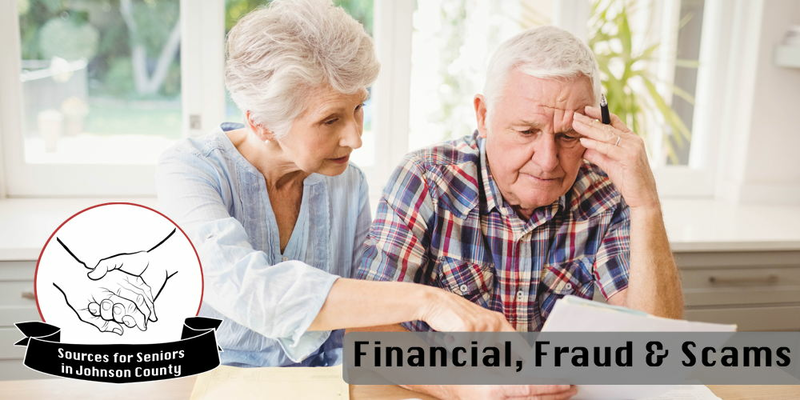 Scam artists also target seniors because very few victims report the crime out of shame, thus allowing the scammer to move onto the next victim. As the old saying goes, "Knowledge is Power.” Below are many tips and links to educate yourself, or your loved ones, and avoid being taken advantage of. Before you invest, do your homework because you can lose money even on legitimate investments. Ask for a second opinion. Don’t give anyone access to your computer or bank accounts that you don’t trust. Avoid shopping on eBay or craigslist unless you have a trusted expert helping you. Don’t pay for a ‘free’ prize. A common scam congratulates you on winning, but you’ll have to pay for (shipping, carrier, hand delivery, taxes, processing fees, etc.) Don’t do it! Don’t let family members take advantage and ‘borrow’ money repeatedly. It’s ok to tell your grandchildren, children, etc.. “No”. They are more than likely capable of fixing their financial situation without putting a strain on you. If asked for emergency funds by family, ensure it is your actual relative as many scammers pretend to be your relative. Indiana Attorney General - Aggressively pursues those who cheat or deceive the elderly and offers online reporting resources. Federal Trade Commission (FTC) - Offers or use their Online Complaint Assistant to report most types frauds. You also can call 202.326.2222. AARP Fraud Watch Helpline - Call 877.908.3360 and receive assistance from their call center. United States Department of Justice - Offers complaint steps through their Elder Justice Initiative. 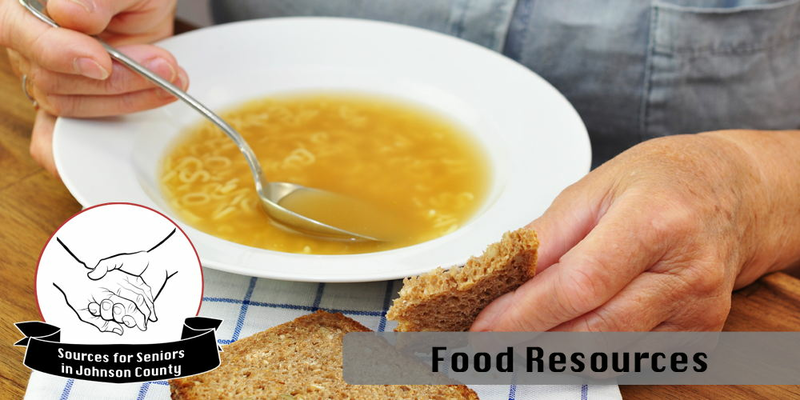 The following food resources have shown a commitment to bettering the lives of people throughout the area. During the past few years, Johnson County has experienced an accelerated and dramatic growth of individuals in need and at risk. The following address that need. There are over 8.4 million senior citizens in the US who depend on others for their transportation. 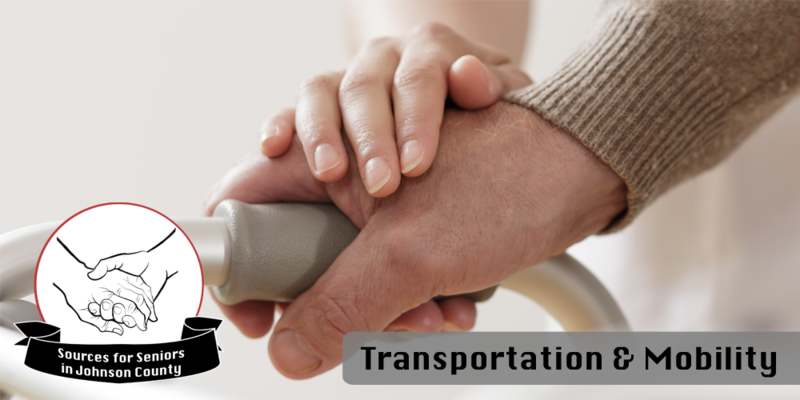 With very few transportation options in Johnson County, senior transportation is even more critical. The three transportation providers below are listed with the least cost at the top and most expensive at the bottom. Making a well-informed decision about durable medical equipment (DME) is crucial when many seniors require the use of DME to remain healthy and independent. DME can be very expensive, so always ask the supplier about rent versus purchase and how much Medicare allows for any item and co-payment costs. 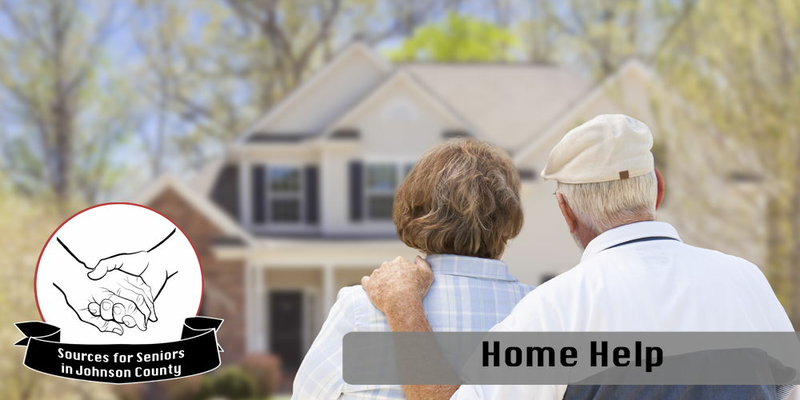 Our Home Help information below will enable you to find the appropriate resources to improve the living conditions of your home as you age to fit your lifestyle. These resources include home maintenance, lawn care, personal assistance, safety and interior/exterior home mobility improvements. All sources were carefully chosen, and our intent is to offer valid information and any referrals will treat you in an honest, fair and equitable manner. However, it is up to you to determine for yourself the integrity, experience or capability of any provider suggested within. Aspire Johnson County is not responsible if your experience with any of our referrals is not satisfactory. If you are aware of any inaccurate information or treatment, please email Aspire Johnson County. 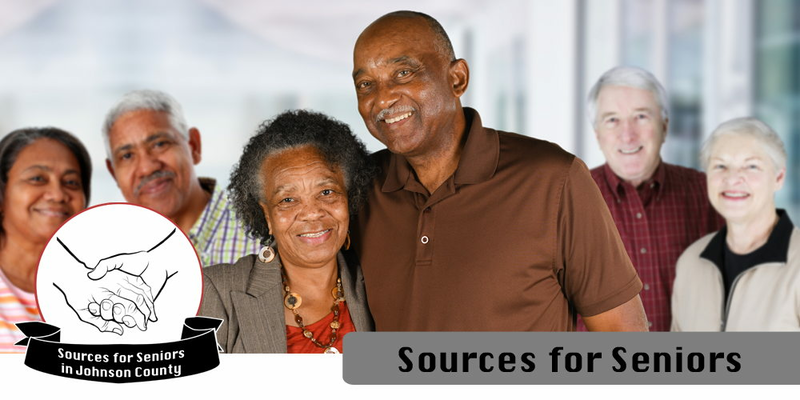 Help provide a community that advocates for and empowers older adults and caregivers by sharing these resources and information that will enhance their quality of life. Check on your neighbor, parent or friends often. Reach out and offer help.